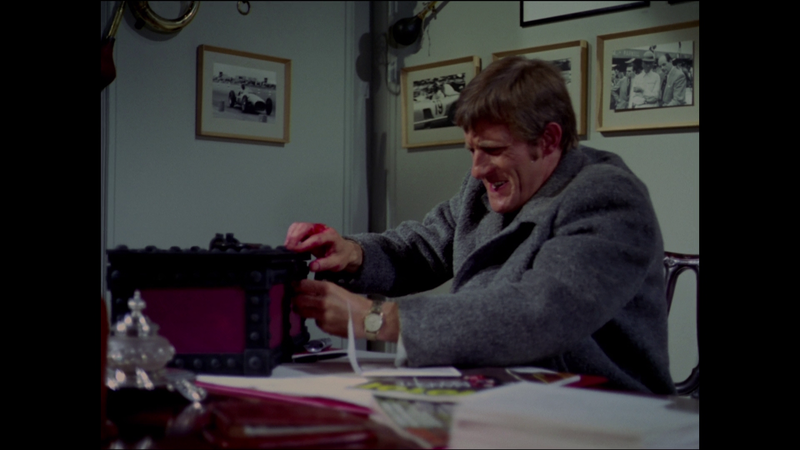 Lords, I know it was the mid to late 60's, and I've never noticed it before really scrutinising the items in order to replicate them, but some of the props used in the show were really badly made. In close up the Cybernaut head is quite rough and pondering how I would replicate the war medals on the General seen in 'Who Was That Man I Saw You With' I couldn't believe that on close inspection they were simply and crudely drawn on using felt tip pens ! 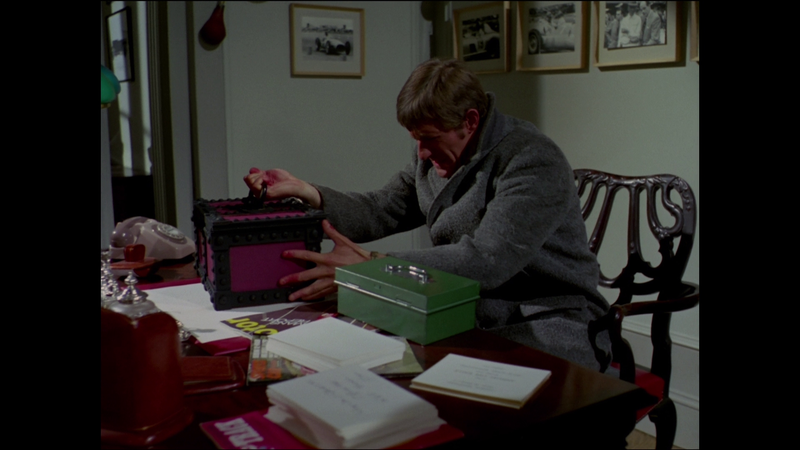 Of course the props weren't designed for close scrutiny, DVD pauses etc. It's the sets which sparkle, while the props tend to serve a purpose. 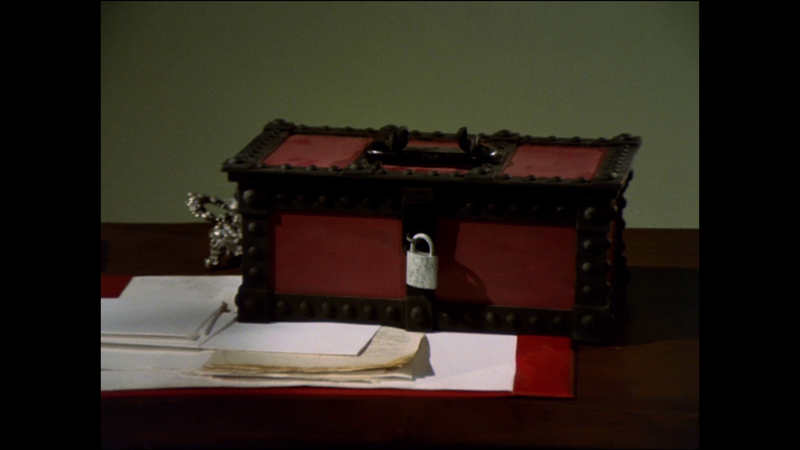 I wonder what happened to props such as Emma Peel's named doorbell which was, I think, in The Town Of No Return and still around in Epic? It was different in the colour series wasn't it ? A fancy pewter cherub encrusted affair, in the monochrome series it was a tacky giant cyclops eye. Ah yes ! Thanks Mike, I'll be sure to look into that one. Glad to be of assistance. 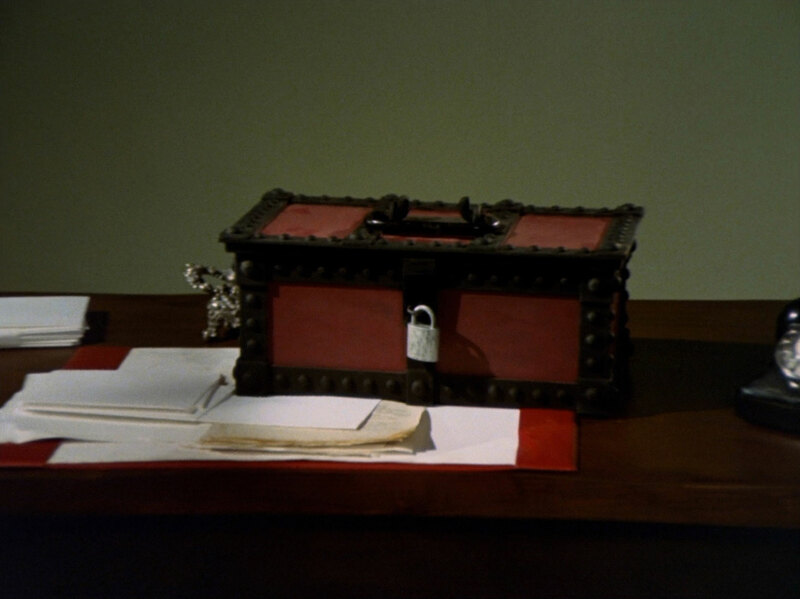 How about another suggestion, although it is from a colour Rigg episode and that is Benstead's treaure chest from Dead Man's Treasure? Glad to be of assistance. 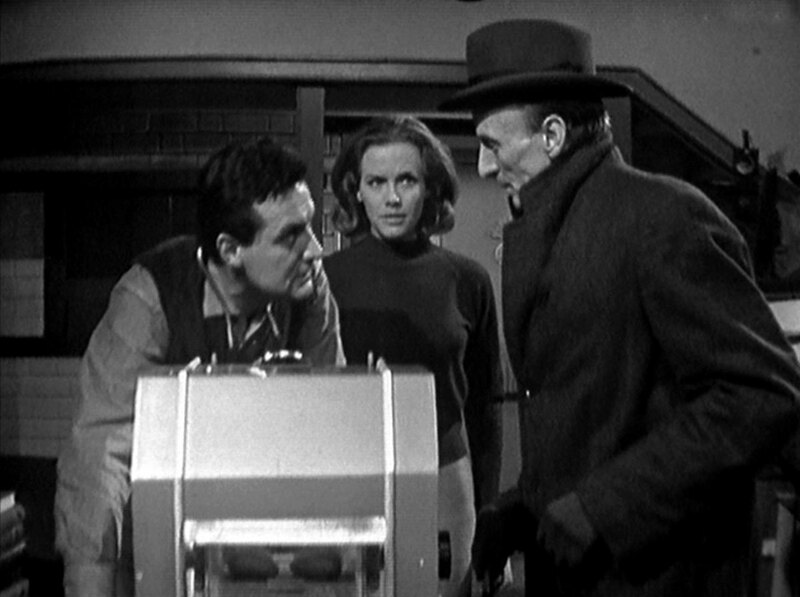 How about the another suggestion, although it is from a colour Rigg episode and that is Benstead's treaure chest from Dead Man's Treasure? Given the interest in purchasing scripts etc, I wonder what the value for a true fan of the show would be for some of the larger props. It is a great shame that there isn't an Avengers museum with real or reproduced sets and props in it. Mind you, I'd probably want to spend half my time in it. I guess that is half of the appeal of the annual treasure/location hunt. A sense of history. Wasn't Linda Thorson thinking of opening an Avengers themed cafe in London many years ago ? 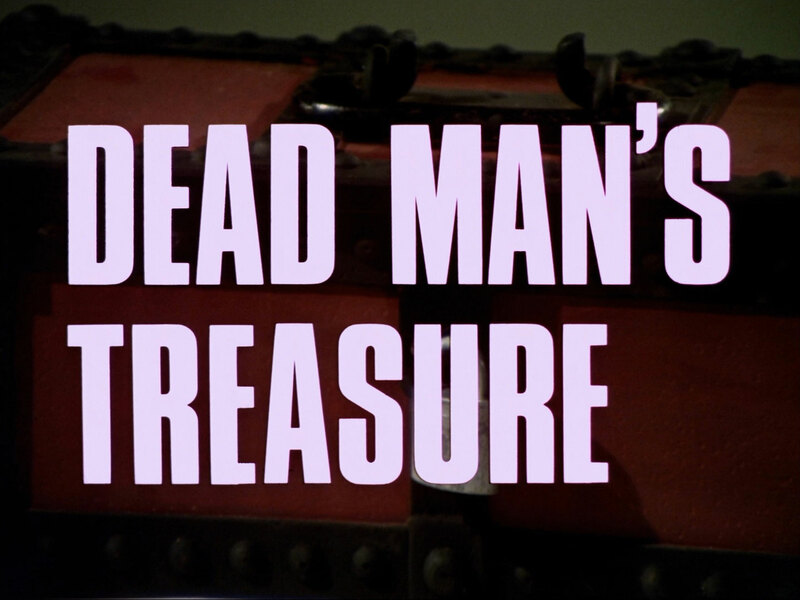 Watched Deadman's Treasure this morning, 'Benstead's Treasure Chest' is referred to as being red, although on my screen it's clearly pink (odd colour for a treasure chest !). So my qustion is this, is it just my TV or does everyone see it as pink ? And if so, was it red in real life but just appears pink on screen ? That scene seems to have a colour balance issue as the chest is red just before and underneath the opening titles super. 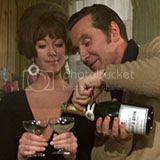 The Daily Mirror’s TV Weekly section covering 23 to 29 April 1994 ran an interesting piece in which reporter Neil Murray outlined Linda Thorson’s plans to open a The Avengers-themed restaurant in London. Obviously influenced by the successful Planet Hollywood chain that had been established three years earlier, Thorson envisaged her The Avengers Studio Kafé as having a huge interactive video wall and a working television studio, which celebrities could visit. The restaurant would include memorabilia not only from The Avengers but also from other television series, with the waitresses’ outfits being bowler hats, mini dresses and black leather boots. Unfortunately, this ambitious concept never progressed any further than an idea. This taken from a certain book. I could never discover anything further, even talking to yet another Treasure Hunt regular B Jones (who is a personal friend of Linda's), who could tell me nothing more regarding the ambitious project. Regarding the colour of the chest: I don't have the episode on DVD to check myself, but do you get to see it under any other lighting conditions? Does it look different or is it consistent? In colour balancing the colour pairings are: Red+Cyan, Green+Magenta, Blue+Yellow (ie. adding more of one reduces the other, reducing one increases the colour intensity of the other pairing). In the first frame grab the white envelop/invitation looks like it has a little cyan pollution? I think that is also just noticeable in what should have been a good neutrality of the gray coat - it also seems a bit bluish. So a slight cyan cast would mean less red in the red component of the image, which is perhaps why the chest colour is a bit off in that frame. The second frame grab looks more evenly balanced in comparison - the white papers on the desk look reasonably white - so the rest of the colours are probably accurate as well. Would be useful to see other shots in different light to be absolutely sure, though.